Anyone figured this out yet? I bought mine yesterday but didn't wear it to bed as I had it charging. Had it on today and crashed for about 3 hours but it didn't seem to register on the S health app. From everything I can find (which isn't much) it seems like it does sleep tracking automatically unlike the gear fit which you had to manually enter sleeping mode. Did the automatic sleep tracking work for anyone else? That graphic above regarding the "Start" button is only to start the "Goal" of tracking sleep. The actual sleep tracking has not happened for me. The S2 is there as an accessory in S-Health. Hit View More. Same. I cant seem to figure out out to start sleep tracking on the s2. The gear fit did it previously. If it doesnt have this feature Ill probably return it. Whats the purpose of having 2-3 day battery/ keeping it on at night if it doesnt track sleep? Edit: I looked into owners manual and there is nothing mentioned about sleep tracking. It monitors inactive time but doesnt send sleep tracking to s health app. Major fail. If this is true I will def be returning. I'm a noob with S Health so I'm not trying to be a wise @ss... But is sleep tracking a deal breaker for real? I always see that as a "nice to have" but can you explain why that is critical? Does the watch tell you to go to bed at a certain time? Does the Gear fit have all the other functionality as the S2? Check out Sleep as Android app for phone and the companion Gear S2 app. These integrate with the S Health as a "companion app." A cumbersome solution, but it would seem to allow the s2 to be used for sleep tracking. For me it is, because i can buy another smartwatch or fitness tracker for half the price that can do the same thing. If it doesnt track your sleep, why does it even matter to wear it at night or whats the use case for having 2-3 day battery. If that wasnt a big deal samsung could have given us one day battery, and made the device cheaper. No the watch doesnt tell you to go to bed at a certain time which I dont think it should. The gear fit doesnt have the same functionality as the s2, for example you cannot reply to messages from the gear fit, but then again you cant track sleep from s2. I want something complete and not half baked. If their own application that they made for the device offers sleep tracking, why not build that into the device itself. Overall I like the s2 mainly because of its rotating bezel but I would like a complete product, personally. Thanks Ill give that a look! I've obviously been playing with my S2 the first 3 days much more than I will normally, but I'm not sure that Samsung has given us much more than a one day battery. My Gear Live was generally ending up with around 50% after a 16 hour day. S2 has ended first three days at around 25%, and yesterday I tried to just leave it be, and use it normally. I think it took 4 or 5 AW sw updates to get much better battery life on my Gear Live. Bought it refurbished from Best Buy, and have mostly liked it. Hello, anyone answer this yet? Can we focus on sleep tracking instead of battery life? There's a $2 app called GNight that advertises sleep tracking. Based on the (limited) comments, it looks like it's completely standalone, and so not integrated with S Health or anything else. Has anybody tried this? Sleep as Android is a very good app and is supported by S Health. 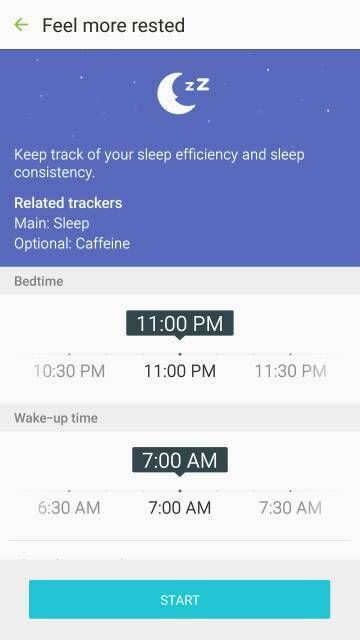 The app tracks sleep with graphs and also will record sound (snooring, etc.) I use it with my Pebble OG and love it. I hope it works just as well for the S2 when I get it. I have yet to find any way to record sleep data with the Gear S2. Samsung "support" had very little to say about this feature and said that future releases may include that functionality. I'm giving it a month before I return it and get something *MOTO* else. So I went ahead and tried it. Not very familiar with sleep apps, but it does record your patterns while you sleep. Not sure what to make of them once I'm awake, as it only produces a graph that you can only read on the watch's tiny screen. So, perhaps promising, but it would be better if it integrated with S-health or something like it. I saw that app in the gear store... Was considering trying it out as well... Are you saying that there is no phone version of the app at all to sync with and view the recorded data? That's strange. I was thinking about getting this but I love how sleep is integrated into the s health app on my gear s.
Anyone found out any third party sleep tracking app for this yet? There was Sleep as Android, but not anymore, Samsung had brought it down for the S2. I cannot get my weather information to appear on my lock screen of my htc one m8? Trying to change lock screen wallpaper on Sony Xperia Z3 - "Photos has stopped working"